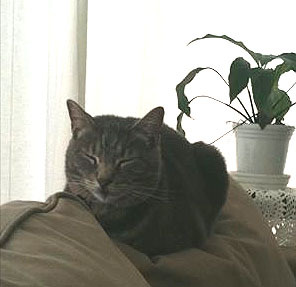 GT, a grey, striped tabby cat is missing from the Scott/Desmond intersection area. He has a slim, small build. He was wearing a collar with contact information. If you have information, please contact Joy at 706-614-0312. As usual, please be on the lookout and check your shed and basement/crawl space in case he snuck in and got trapped by accident.